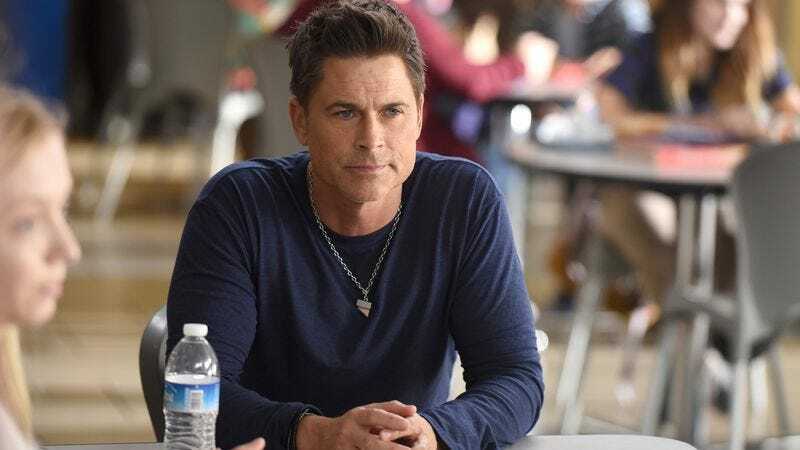 For a show that was built around two diametrically opposite yet equally important, personas, The Grinder is so great when it gets the entire ensemble involved in each storyline. The ensemble working in tandem has certainly been one of the unintended consequences of the serial format that the show has taken on in the latter half of its first season. As more characters become connected, they can work together in ways that they couldn’t do before. Creating meaningful stories for each and every character is perhaps the best indication that a show is maturing beyond its original premise, but the serialized storytelling has certainly accelerated the process, especially for characters that were otherwise adrift. Take William Devane’s Dean Sr. He had nothing to do for most of the season other than offer platitudes to Dean, but when he was given more than a few lines he was great (see: “Giving Thanks, Getting Justice”). Debbie has similarly grown beyond this role of haggard mom/sounding board for Stewart because she gets to be involved with what’s happening at Sanderson and Yang. She may not have a direct relationship to the case at hand and she still largely fills the aforementioned role, but she gets to be in the office and interact more with that aspect of the show, making the work-plot’s transition into the domestic-plot — including the integration of Lizzie and Ethan — seem that much more seamless. And that’s even better considering how great Connor Kalopsis and Hana Hayes have been, even in the smaller roles that they inhabit. Kalopsis is especially great, and I loved his interplay with Dean Sr. It’s a relationship that I hope grows in the (**fingers crossed**) second season. The plot was perfect for an ensemble episode, working better than last week’s “For The People” in the way it brought every character into the fold. Dean is convinced that all they need to crack the case is a sidestory, thanks to his TV son Colton Haynes (I loved the matching undershirts, while the father-son duo washed the S.S. Inkspot). “Divergence” didn’t play with metaphor in parody here, which the show will sometimes do. Instead, characters openly talked about playing with television convention in how they went about their storylines. I like how writers handle both storytelling techniques, but I thought this lack of pretense worked especially well in this episode, especially because the whole idea was so ludicrous. Each character needed to buy into this TV-contrived plot device or it wouldn’t make sense. But it’s interesting how little I’m bothered by how the overall plot never moved forward. The lack of plot movement is intrinsic to “Divergence’s” story, but the episode didn’t feel like it was stalling to cover up for the fact that there’s not much plot to actually cover. That’s the benefit of a good ensemble. “Divergence” also featured Dean being his best self. I love it when Rob Lowe goes bigger, and less simmering, breaking the self-seriousness that is usually at the heart of Dean Sanderson. Instead, here, Dean does two things: He is a bit more surreal than he normally is (take the slow walk away from Stewart and Debbie that ended with Debbie needing a glass of wine), but he also got exasperated that things weren’t working out as planned. Instead of falling into a pit of despair that the real world doesn’t mirror the the television one that Dean can’t break away from, he becomes indignant. He’s less that the world isn’t conforming what he thinks it should be, and so much more annoyed that it won’t follow his rules. It’s an important distinction because at his worst, Dean Sanderson can be seen as just another take on Chris Traeger,which is not a bad thing, but certainly doesn’t stretch any creative muscles. 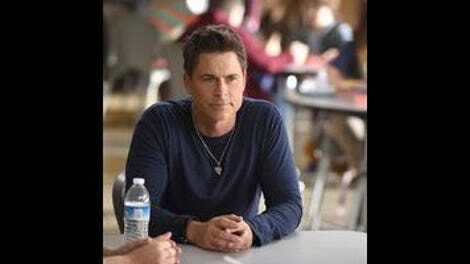 The distinction allows Lowe to interweave narcissism, although not malice, into his portrayal. Stewart made it clear that he didn’t want to be apart of any sidestory with Dean, but he inadvertently has a little bit of Grinder in him. A series of coincidences convinces Stewart that he doesn’t want to settle the case against his father, but instead wants to fight it even though he doesn’t yet have a plan to do so yet — perhaps that explains the leap in logic that Debbie and Stewart pointed out in the beginning. My favorite aspect of Stewart’s plot, though, was its inherent positivity. So much of the comedy of this show derives from the tension between Stewart and Dean, but I love it when they are allowed to get brotherly. They started the season as adversaries, and look like they’ll end it as buds. All together now: Awwww! There were some excellent Todd-Claire moments in this episode. They were a bit more separated from the pack in this episode but I still enjoyed every moment they had together. Also, Claire’s black and white dress was fabulous. Her wardrobe is great. Why Mary Elizabeth Ellis is great: Debbie’s deep-voiced “Okay” sent me into gales of laughter. Claire watches Bones. That’s some nice cross promotion Fox.